Being acknowledged and recognized in your chosen niche is the most powerful key to succeed in your online career. This will help you develop more trust, incoming links and continuous flow of incoming visitors to a website. Also, this has become the influential way of promoting a website, blog, company and even a product that could benefit a lot from established brand in the long run. It helps you build authority - Authority is very important in every form of online and offline based marketing. This is much widely accepted than being anonymous and new to your industry. Also, the success of being an authority in your industry can generate you more qualified visitors and can make you become a reference by people in your industry who are following you or actively visiting your website to learn new knowledge and information in your niche. You can become authoritative in your niche by actively providing relevant information to your target audience in a form of infographic, video presentation, document sharing and the most important of all these is content. Also, you can establish your own strong online presence by participating in community discussion such as forums, webinars and even blog commenting where most active people in your industry gather and meet up to share their knowledge and experiences. It helps you develop strong online presence - Online presence plays an important part in digital marketing because this is where trusts always earn and gain. 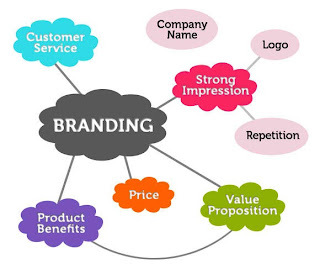 Branding requires a lot of qualified audience and active communities to help you build a strong online presence. Since this will decide how authoritative you can be, it is imperative that you should be visible in almost all communities and discussions within your niche to easily find your target audience and to increase your existence in your industry. You can increase your online presence by participating in question and answer sites, content distribution (guest blogging and document presentation) on active and highly visited website in your niche. By attracting people in your industry through content, video and document presentation you will provide to help them learn new information. People always seek for good information and if you consistently provide what they need, you definitely have a strong online presence. It increases your online reputation - The more branded that you are becoming, the good online reputation you will earn from your hard work and efforts that you spent to develop your online presence. Being known as an expert in a particular field in your niche will help you attract more attention of the people in your industry. Since you are acknowledged as a reliable person in your industry, you can easily influence your audience to help you share your remarkable work to their community. It attracts more traffic - Once you proved that you are an expert in your field or niche, many of your regular readers and followers will link to you, reference you and refer you to their own community which will change your referral traffic statistics and strengthen your link profile. Also, you will have a higher chance to become more visible in SERPs because of the authority of your website that can increase your click through rate and change the statistics of your organic visitors. Since digital marketing is becoming more and more complex, it is imperative to have a strong online presence that will help you succeed, compete and standout in your industry. Although, it is not quite easy to build up strong foundation online, it would be better to give branding a chance as this is the most efficient, effective and long term marketing solution for many industries. Joseph Gojo Cruz is the author of RankingElite, a Philippine-based Online Marketing blog. Joseph has been working in SEO industry for over 3 years from website audit, link and content development, social media and search engine optimization. Connect with Joseph on Google+, Twitter, and Facebook. Joseph is also a contributor on SEJ and Ahrefs.